Remodeled duplex in the heart of Gulfportâs Historic Waterfront District! 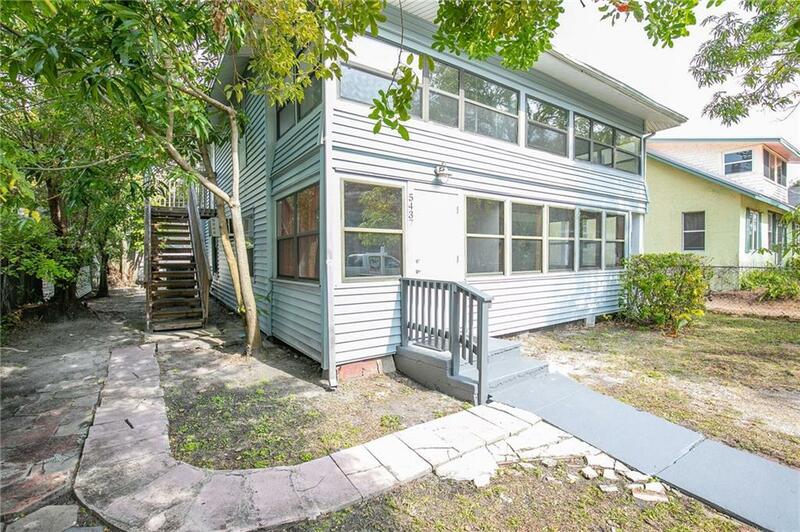 This income property features a 2 bedroom/2 bath apartment downstairs and a 1 bedroom/1 bath upstairs. Both units have new kitchens with granite counters and stainless appliances, and all bathrooms have been nicely updated with new vanities and tile. There is a laundry room that could be used exclusively for the lower unit or shared by both. New paint and flooring throughout, separate electric meters and one water meter. Duplex is move-in ready for immediate occupancy; live in one and rent the other or rent out both to get maximum income potential. Great downtown location just steps to restaurants, beach, shops, weekly farmers market, nightlife and more!